I don't know if you've noticed but we have yet to watch an Emery pre match press conference live transmitted on Arsenal.com. This was a Thursday morning ritual under Wenger which we all looked forward to. But alas it is to be no more, until further notice. This is so according to official Arsenal policy communicated to me after enquiring as to why we are no longer privileged enough to be partied to a live press conference as we have been accustomed to.
' ... about the live transmission of Unai Emery's conferences. 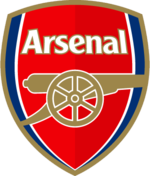 Will arsenal.com transmit them live as in the past or has this been scrapped? If any of Unai’s press conferences are going to be transmitted live then the website will confirm this in advance. We do not have any more information regarding this issue at present. So we just have to wait and hope. But why this change of policy? Does Arsenal FC want to make sure that Emery's English is not in any way misinterpreted before it is checked first? It is indeed very strange that arsenal are not live streaming the press conferences. They should give an explanation as to why this has been stopped.